Look around your living room or bedroom, and you may notice something missing. Just as the right jewelry complements any outfit, the right window treatment in NYC can draw together all of the elements in your room, adding your unique personality and character to your living space. At Dr. Shade, we offer a wide range of window treatments that can transform your room’s appearance and provide the privacy and protection from excess sunshine that you need. We offer several options for New York City blinds. These include our attractive wood blinds, which are known to complement various styles and serve as a natural insulator, thus offering temperature-control and energy-efficiency benefits. Dr. Shade is also a premier provider of aluminum blinds in NYC, which feature a timeless appearance and are sturdy and trouble-free. Our NYC blinds will give your windows a clean look, thus elevating your room to a new level of sophistication. If you prefer shades, Dr. Shade additionally offers these “soft” window treatments, which can add a touch of class to your home. You can choose from roller shades, solar shades, and Roman shades. While roller shades are high adaptable for controlling privacy and light, solar shades are a top choice if you wish to block damaging ultraviolet rays while still being able to view your neighborhood from indoors. Roman shades are recommended if you are looking for a window treatment that is both functional and aesthetically pleasing, as they come in fabrics of different patterns and colors to complement your room’s décor. Drapes and curtains are some of our other popular window treatment options. From our pinch pleat and ripple fold drapes to our grommet, pocket rod, and cornice curtains, you can find a drape that will easily lend an elegant look to your window. 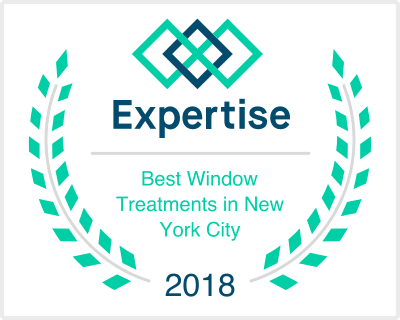 When you are looking for the perfect window treatment in New York, Dr. Shade has the remedy.